Hipsters, nerds, bros, fashionistas, skaters, sports fanatics and sorority girls coexist across San Francisco State University’s 142-acre campus. The “typical” SF State student doesn’t exist because the university is indelibly individualistic in nature. SF State has by and large been dubbed a “commuter campus,” but that doesn’t mean campus life isn’t thriving. It makes up for its lack of sports (we haven’t had a football team since the Clinton administration—talk about Throwback Thursday…) with its school spirit. 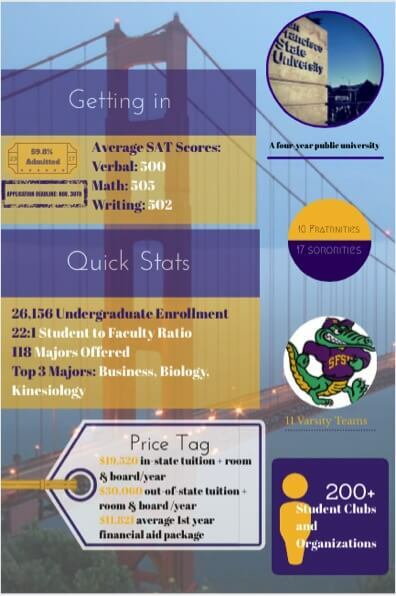 In other words, “that school without a football team,” swarms with purple and gold “SFSU” sweaters regardless. Students take pride in their passions beyond tailgating and Greek life—it’s not school spirit in the traditional sense, it’s Bay Area pride. Tucked away in the southern part of San Francisco, California, everything from campus cuisine to the classes offered glows with the culture of the city. It is a culture that is innately laced into the fabric of the institution. For the most part, the student population at SF State resembles that of any college campus in California—except on a typical day, students will be wrapped up in several layers to match the chilly fog that often descends upon the campus. When campus is glazed in a bright yellow-orange hue instead of a gloomy grey one, the university really comes to life. You can find students lounging on the grass in the quad or enjoying the sunshine as they slowly make their way to class. Student activism, politics, diversity and appreciation of the arts are deeply rooted in the philosophy of the university—it’s a presence you can see and feel as you walk through campus. 1. Honored by Entertainment Weekly as one of the nation's leading film schools, SF State counts more than 13 Oscar winners among its alumni. 2. 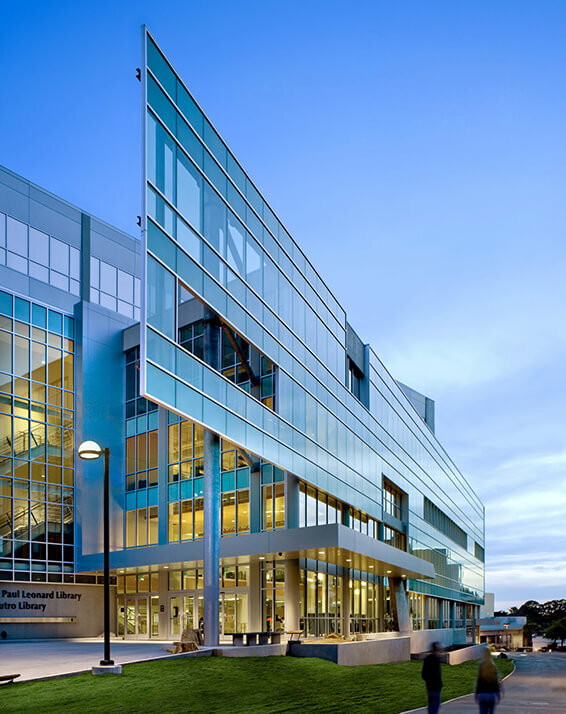 SF State has one of the oldest and most respected creative writing departments in the nation. Alumni include Pulitzer-winning poets, best-selling authors and California’s poet laureate, Carol Muske-Dukes. It is the only university in California to offer a bachelor's degree in technical and professional writing. 3. According to U.S. News & World Report, SF State is the 6th most diverse college campus in the Western United States. 4. SF State is serious about giving back to the community and the environment. Princeton Review named SF State as one of 81 "Colleges with a Conscience," and it has also been recognized as one of the Carnegie Foundation's "Community Engagement" institutions.